2 nights at Holiday Inn Secaucus or similar in New Jersey. 1 night at Clarion Inn Frederick or similar in Washington DC. 1 night at Comfort Suites Buffalo Airport or similar in Buffalo. 2 nights at Circus Circus or similar in Las Vegas. 2 night at Best Western Plus Commerce or similar in Los Angeles. 2 nights at Holiday inn Dublin / La Quinta Inn & Suites Oakland or similar in San Francisco. Meals, coach tours, entrance fees, sightseeing and surface transportation as mentioned in the itinerary. Services of our Tour Manager or Local Representatives. (Subject to minimum 20 fullpaying passengers travelling together). Handling fees charged by the airlines for travel within USA and Canada - 1 check in baggage per person. Water bottle 500ml Per Person Per Day included in Premium and Value Tours only. Porterage of 1 bag per person at all the hotel for Premium tours only. You / Client / Customer / Tour Participant: means the person/s in whose name and/or on whose behalf the booking is made and/or whose name is on the booking form and invoice. We / Company: means Kuoni Travel (India) Private Limited. Infant / Child: An ‘Infant’ means a person below the age of two years and a ‘Child’ means a person from the age of two and below the age of twelve years. Independent Contractor: means supplier of any infrastructural facility and shall include hotel managements, airlines, caterers, restaurants, places of entertainment like theme parks, museums, and the like, railway, ferry, cruise, coach or any other person or organization selected by the Company to render services to the Tour Participant. Company’s tours are sold subject to the following Terms and Conditions, as well as how to book rules and the contract between the Company and the Tour participant shall be governed by the same. No person including the employee/s and the agent/s of the Company even in writing has the authority to alter, amend, modify or waive any stipulation, representation, term or condition set forth in this document. Also assurance of any service or facility given by any employee/ agent of the Company, which is contrary to what is set forth , price grid, and invoice, shall not be binding on the Company under any circumstance whatsoever. All tours are subject to laws, rules of RBI/GOI. Rights of admission to the tour reserved. We strive to make the contents of the brochure as accurate as possible and print it much ahead of actual travel period. It describes services/amenities that are available under normal circumstances. However events, circumstances and factors beyond our control like traffic, bad weather, fairs, festivals, strikes, change of management/closure of hotels/restaurants, over booking of hotels/flights, cancellation/ re-routing/re-scheduling of flights, rail or roadways, closure of / restricted entry at a place of sightseeing can affect the availability of services and necessitate change of routes/ itineraries. It may even necessitate stay in hotels in alternate city/ies or away from the one mentioned on the website. While every effort is made to maintain our services and follow the itinerary mentioned on the website, in few unavoidable instances we reserve the right to alter, amend, change or modify the Tour Package, Itineraries, Tour Schedule, Travel Plan, Sightseeing etc. Where we come to know of the changes/events sufficiently in advance we will notify you during booking or prior to departure. Otherwise our tour manager or local representative will inform you of the changes on the spot and we solicit your full co-operation in accepting such circumstantial changes. Therefore no grievance regarding any itinerary/service change which we are constrained to make, will be entertained from the tour participant during or after the tour. The Company is a travel and holiday organizer. We do not own/control/operate any Airline, Cruise lines, Railways, Coach Company, Hotel or any other independent contractor or service provider in relation with services mentioned on the website. Though we select all the ingredients, independent contractors, service providers for your holiday with due care we cannot assume responsibility for delay, deficiency or default if any in the services of such independent contractors, service providers, their management or staff leading to any injury/death/loss/damage to property or any such eventuality which do not fall within the scope of our normal selection and inspection process whilst engaging them. We are also not responsible for delay or deficiency in services of all independent contractors/service providers that may be borne out of any act or actions of co-traveler, co-tour participant which may result in tour participant not availing some or all services on the tour as per brochure. Hotels selected for each tour is set out on the website. As you will be outdoors most of the time sightseeing we select hotels which are comfortable whilst keeping cost down. Most hotel rooms have private bath or shower. We take extra care to select hotel locations in either the city centre or away from it depending on the tour journey. Hotels do not have air conditioner or fan due to favorable weather condition. As hotel rooms are smaller we recommend maximum 3 persons in a room for your own comfort. Triple rooms are usually no larger than twin rooms, and the third bed is often a rollaway cot put in a twin bedded room for the night. It is expressly stated and it be understood that any child below 12 years paying the special ‘without bed’ rate will not be provided bed in the hotel under any circumstance. In case the tour participant on his own makes a change in rooming while on tour the company will not be bound to refund or pay compensation towards such change/s. If any such change in rooming by the tour participant attracts additional charge he/she shall be bound to directly pay the same directly to the hotel concerned. Breakfast / lunch / dinner wherever provided on tour is on pre-set menus. The meal type is clearly indicated on the website. Unlike an airline, we cannot process request for special meal or specific diet. However if tour participant intimates this while booking and if it is feasible we will try to provide them. We however, reserve our right to change the meal arrangement where circumstances compel us to do so. Where meal/s are missed by tour participant at his/her own will or due to late/non arrival at announced meal timing no compensation for such missed meal/s is claimable. We use air conditioned / air cooled luxury coaches. We have found it fair to operate daily seat rotation on board our coach, so no seat numbers are allocated. Toilet stops are arranged for the journey at appropriate intervals. The coaches may be equipped with a washroom which is strictly for emergency use only, and is not a substitute for using the facilities at regular rest stops / frequent comfort stops. The emergency washroom facility must not be used while the coach is in motion. No food and drink, including alcoholic beverages, may be consumed on the vehicle. If you are carrying any high value items on the coach, we advise you not to leave them behind when you leave the coach and we will not be responsible or liable in case of theft or robbery of the said items from the coach. All baggage and personal effects are at all times and in all circumstances your sole responsibility. No claim whatsoever will be entertained for the same under any circumstances. Tour Participants traveling by air will be subject to the airline restrictions/limitation on baggage weight/size/pieces. It is currently 20 kg per person on Economy Class for all destinations except on flights to USA and Canada where a person is permitted to carry 2 pieces of checked-in baggage and one hand bag. All baggage and personal effects are at all times and in all circumstances the responsibility of the Tour Participant and company shall not be liable for their loss by airline/cruise/coach or any other carrier whilst on the tour. Tour participants are advised to carry valuables on their person at all times. Wherever Safe Deposit Lockers are available you are advised to avail this facility in safeguarding valuables. In hotels/locations without this facility you should take all the necessary precaution in protecting your valuables. Company or any of the carriers used or its representative/s will not be responsible for loss of valuables or for making good such loss. TIPPING is customary in all parts of the world for services rendered. Your tour manager / briefing sheet will guide you in this regard. Tour Participant is bound to inform the Company during booking of the tour if he/she has a medical condition that may affect his/her ability to enjoy and pursue the tour arrangements fully as per the itinerary mentioned on the website. The Company reserves the right where ever warranted to insist on medical fitness certificate any time prior to departure. It is highly recommended that the Tour Participants acquire adequate insurance cover to secure their life, health and property as may be advised by your insurance agent to cover any eventualities associated with your overseas travel including health, accidental injury, loss, liability and the like depending on your assessment of your risk potential. It may be noted that the Tour Cost does not include the Insurance Premium and that the Tour Participants are advised to discuss your insurance needs directly with your insurance agent before proceeding on the tour and at your own cost procure such cover as may be advised. Please note, Insurance is the subject matter of solicitation, please read the terms and conditions of the insurance document carefully before finalizing your desired insurance cover. All Tour Participants should hold valid travel documents viz. Passport and visas for travel. It will be the tour participant’s responsibility to apply for visa with complete set of documents required by the embassy/consulate within the stipulated period as advised by such embassy / consulate. In the event the visa application made by Tour Participant is rejected by the consulate due to either inadequate supporting documents or for whatever reason or where the visa could not be processed due to late submission of application by the tour participant, the same shall lead to forfeiture of booking amount paid and no claim whatsoever shall be entertained for the same. All cost, charges in respect of the said visa application shall be borne by the Tour Participant. However due to rejection of visa or non-processing of visa application due to any circumstances if the Tour Participant is unable to travel on the tour originally booked he/she shall have the option to postpone the tour to another available date or change to any other tour by paying transfer charge. Tours specified in the Brochure are subject to minimum participation of paying Participants. If the participation is below the minimum prescribed, the Company reserves the right to amend, amalgamate, alter, vary or cancel a Tour without incurring any liability to pay any compensation. If company decides to operate the tour with participation below the minimum stipulated the Company reserves the right to collect additional pro-rata amount. b) Accept any alternate tour or holiday which the company may offer. In either case company will not be liable to refund or compensate the tour participant for any consequential loss, damage or additional cost. In the event that the company is unable to conduct a particular tour for whatever reason and the tour participant is not exercising any of the above two options then it shall at its own discretion refund whatever amount collected towards the total cost of the tour without any interest after deducting actual expenses incurred on retention charges of the overseas suppliers. The tour participant will not be entitled to raise any grievance thereafter in respect of the same. We may often operate more than one coach per departure date. For the comfort and convenience of our tour participants we may reverse the direction or slightly amend the itinerary which will be advised either at the start of the tour or on tour. In the event any tour participant misses part / whole of the sightseeing tour or any such tour due to delay / indisposition or any other reason whatsoever on his part, then he will not be entitled to claim any refund. The Tour Participant will have to strictly follow the Tour Program and return to India as per the validity of the air ticket. Those Tour Participants not travelling with the group throughout the Tour shall under no circumstances be entitled to any refund. It shall be noted that for all purposes, it shall be the responsibility of the Tour Participant to reach the place of commencement of the Tour and register with the representative of the company at the appointed place, date and time. The Company is not responsible or liable if the Tour Participant does not reach the place of commencement of the Tour on time or if prior to his departure he loses his travel documents and / or baggage. In such a case, his booking will be treated as cancellation as in NO SHOW. Tour Participant shall not behave in a manner which may cause distress or annoyance to co-tour participants or co-travelers or which may endanger or damage property of the company, co-tour participants, co- travelers or any other/s. Each of the booking conditions shall be severable from the other and if any provision be invalid, illegal or unenforceable the remaining provisions shall nevertheless have full force and effect. The prices quoted in the Brochure are calculated based on rates prevailing at the time of printing the brochure. The Company reserves the right to amend before the date of departure any tour price published in the brochure and accordingly recovers applicable surcharges to make up for foreign currency fluctuations, changes in the various cross rate of exchange, fuel costs, interest rate on holiday loans. All such increases in price must be paid for in full before departure by the Tour Participant. Tour Participant is supplied the tour brochure narrating the tour details. The tour participant or his Travel agent by signing the booking form accepts the booking conditions mentioned overleaf and the contents under ‘How to book’ section, not only on his behalf but on behalf of the all the tour participants mentioned in the booking form. In cases where only travel agent signs the booking form for and on behalf of the tour participant/s it shall be deemed to have been signed under due authority of the tour participant/s mentioned in the form. In cases where tour participants belong to more than one family under one form it shall be signed by head of each family. Signing of the booking form and payment receipt issued for payment made towards part consideration of the tour shall be a legally binding contract between the parties. The signing of the booking form shall mean acceptance by the tour participant in totality of the terms and conditions contained herein. The company reserves the right to decline to book any person/s as tour participant/s for any tour without assigning any reason whatsoever. There is no contract between the company and the tour participant until the Company has received the specified non-refundable interest free booking amount. The full payment must be received in accordance with the procedure laid down in the brochure in the “How to book” Section. If not paid in accordance with the payment schedule the company reserves the right to cancel the booking with consequent forfeiture of booking amount and apply scale of cancellation charges as mentioned in the brochure. Any payment made to the Tour participant’s travel agent by the tour participant would not constitute payment to the Company until the same is remitted to the account of the Company. The Company reserves the right at any time and/or for any reason whatsoever to a) Terminate the contract after acceptance of booking amount but prior to the commencement of tour. In the event, the Company terminates the contract; it may refund the booking amount to the tour participant without payment of any interest thereon after deducting actual expenses incurred on the booking like retention charges of overseas suppliers. b) Amend, alter, vary or withdraw any tour, holiday, excursion or facility it has advertised or published or to substitute an independent contractor of similar class if it is deemed advisable or necessary. In either case, the company shall not be liable towards any consequential damage, loss or extra cost suffered by the tour participant or to pay any compensation to tour participant. It is hereby declared that the immunities provided under this contract shall be available to the Company’s Managers, including Tour Managers, Employees, Servants and Agents but not to the Independent Contractors selected by the Company. The Company shall be within its rights to forfeit the non-refundable interest free booking amount paid by tour participant along with the completed booking form for confirmation of the seat(s) on the booked tour and also to recover scale of cancellation charges set out in the ‘How To Book’ section of the brochure a) In the event the tour participant either cancels the booking or fails to adhere to the tour payment schedule set-out in the documentation check list handed over to the Tour Participant after booking b) In the event his/her visa of any country(ies) is not granted or c) In the event tour participant is unable to travel on the tour booked due to any reason whatsoever, including medical grounds. Forfeiture of booking amount will also be governed by the rules of “secure your booking amount” scheme. The company reserves the right to determine the quantum of refund payable in case of cancellation or amendment of a Tour due to Force Majeure or Vis Majeure. Such refund would be based on various factors like the number of participants, the cancellation policies of suppliers like hoteliers, coach operators, etc. and the decision of the company on the quantum of refund shall be final and binding on the tour participants. In case the company exercises its discretion to alter, amend or cancel any tour advertised in the Brochure and the Tour Participant who has registered for such tour exercising the option to continue with the tour as altered or amended, or to accept any alternate tour which the company may offer, the company shall not be liable for any compensation, damage, additional expense or consequential loss suffered by him/her or to pay any amount as refund to the Tour Participant. Even in case of a Tour for which the payment was made in Foreign Currency if any, with or without part payment in Indian Rupees the said refund shall be made only in Indian Rupees at prevailing rate on date of refund as per existing Rules and Regulations. Refund (if any) for amendments and/or cancellation will be paid directly by cheque to Tour Participants by the company. It would take 45 days to process refund and 60 days if tickets are already issued. There shall be no refund if the Tour Participant fails to join the Group at the commencement of the Tour, or joins the Group late or leaves the Group before culmination of the Tour. If the Tour Participant along with his family is compelled to discontinue the tour due to any reason such as illness, death, loss of passport, no claim shall be entertained for refund of unutilized services. There shall be no refund if the Tour Participants does not or cannot utilize any service included in cost of tour like meals, rooms, excursions, etc. nor can any refund be made for lost, mislaid or destroyed travel tickets or vouchers. As we book services in advance and are bound to honor the payment commitments to service providers, cancellation of services earmarked for a particular departure results in the Company losing money depending upon the time of communication of cancellation to the supplier. Therefore any cancellation of tour booking by tour participant will attract cancellation charges as specified by the company. In the event of the tour participant cancelling a third party tour/services booked through the company, the Terms and Conditions of such other Tour Operator, including their payment schedule, cancellation; refund etc. shall be applicable, in addition to company’s cancellation rules. Tour participant should intimate in writing citing reason for cancellation. If the Booking Form has been signed by one or more persons for themselves and for others mentioned in the form, communication signed by such signatories would be treated as valid communication for cancellation of all such persons mentioned in the form. The computation of the period of notice of cancellation shall commence only from the time the written request reached the Company at its sales outlet during office hours. 1) Personal injury, sickness, accident, loss, death, delay, discomfort, increased expense, consequential loss and/or damage on account of theft howsoever caused. 2) Temporary or permanent loss/damage to baggage/personal effects howsoever caused. In this condition the expression “howsoever caused” includes willful negligence on the part of any person. 3) Loss of baggage by the Airline/Cruise line/Surface transportation. 4) Failure on the part of airline to accommodate tour participant/s despite having confirmed tickets. 5) Airline not allowing tour participant to board the flight for reasons beyond the control of the company. 6) Damage or loss caused due to reasons beyond the control of the company (Force Majeure Vis Major). No liability on the part of the Company arising in any way out of this contract in respect of any tour, holiday, excursion facility shall exceed the total amount paid or agreed to be paid for the same and shall in no case include any consequential loss or additional expense whatsoever. If the tour participant has any complaint in respect of services of any independent contractor, he/she shall immediately notify the same in writing to the independent contractor and hand over copy thereof to the Tour Manager in order to enable the Company to take up the matter with the independent contractor. Any claim or complaint by the tour participant must be notified to the Company in writing within 28 days of the end of the Tour. No complaint or claim notified after this period will be entertained and the Company shall not incur any liability in respect thereof. For all claims, disputes of whatsoever nature relating to the tours marketed / coordinated by Kuoni Travel (India) Pvt. Ltd. the courts, forums and tribunals in Mumbai alone shall have exclusive jurisdiction. Your own trusted SOTC’s General Sales Agent or Travel Agent can book you on your SOTC Tour. If you are booking through SOTC’s General Sales Agent or your own Travel Agent, please make all payments to them and they will pay us on your behalf. There is no additional cost to you, so do take advantage of SOTC’s General Sales or Travel Agent’s professional advice and service. Our General Sales Agent’s office is located at UK, UAE, Kuwait, Oman, Saudi Arabia, Bahrain, Qatar, Kenya, Hong Kong, Tanzania, and Canada. In the United States we encourage you to book with your travel agent or call us directly on our TOLL FREE NO 1- 877-827-SOTC. We would be happy to hold seats on the Tour of your choice provisionally, on a time limit of 4 days (Subject to availability of seats on that tour). In order to secure your reservations on a definite basis, you would be required to complete the Booking Form and pay a non-refundable interest free booking amount of US $400 per person (Adult/Child), towards the cost of your tour, within 4 days. You must complete and sign the official SOTC Booking Form enclosed in this brochure, which gives the Booking Conditions of the Tour. Please complete one booking Form per party. Along with the Booking Form, please enclose a non- refundable interest free booking amount of US $400 per person (Adult/Child). This said amount would be adjusted towards the cost of the tour. All cheques must be made payable either to your own Travel Agent or Kuoni Travel (India) Pvt. Ltd. and sent to SOTC’s General Sales Agent, nearest to you. 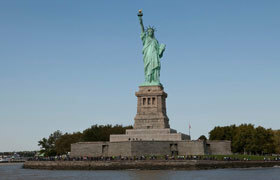 For passengers booking from USA, all cheques must be made payable to your own Travel Agent or Kuoni Travel (India) Pvt. Ltd. and mailed along with your booking form duly filled and signed to 356 Morning Glory Drive, Monroe, NJ 08831. Within a few days you will receive the SOTC Invoice and an Official Receipt. Your SOTC Invoice is a written confirmation of your Tour. However it is not valid for travel on the Tour. It is your responsibility to hold valid Travel Documents such as Passports, Visas, confirmed air tickets to be able to travel on the Tour. The cost of processing your Travel Documents is not included in the Tour Price and you are required to pay for them separately and shall be responsible for any delay in procuring the travel documents and consequential loss whatsoever. It would be best to check with your Travel Agent or SOTC’s General Sales Agent nearest to you for advice and information. Please ensure with them that your travel document will be processed in time for your departure. To participate on the tour you must be in possession of confirmed tickets on flights and sectors the tour is scheduled to operate on. The details of internal flights and sectors are available with our General Sales Agent or Sales Officer. It is advisable that you purchase the tickets prior to your arrival. Please check with your travel agent for advise and necessary information. Balance payments towards the cost of your Tour and Booking Form must reach us at least 45 days prior to the departure of your Tour. On payment of the balance amount in full you will receive your Final SOTC Invoice with an official SOTC seal. This Invoice will be valid for your Travel on the tour. Your Final documents can only be issued, upon receiving your balance payment & the Booking Form. There will be delay in issuing your final documents, unless Full Payments and the Booking Form is made in the stipulated time. Please ensure that full and final payment along with the Booking Form reach us 45 days prior to the departure of your Tour. If it does not, this would result in cancellation of your seat on the Tour. We will then be constrained to levy Cancellation Charges. The tour cost does not include your overseas travel insurance. It is highly recommended that you have adequate insurance in place to secure your life, health and property as may be advised by your insurance agent to cover any eventualities associated with your overseas travel. You may be required to provide us with a copy of such insurance cover prior to your booking confirmation. Your Final Invoice entitles you to travel on the Tour, and must be presented by you to the SOTC Tour Manager/ Local Representative on the first day of the Tour. No services will be provided, if the Final SOTC Invoice is not in your possession. Pre / Post Tour Accommodation / Add on Package are available to you at special rates. Please ensure that you request for the same, with your Travel Agent/General Sales Agent at the time of booking your Tour. A transfer from one Tour to another will be treated as a cancellation from one Tour and a fresh booking on another. Therefore Cancellation Charges will apply. If circumstances make you cancel your Tour, the cancellation must be intimated to us in writing. As per this Booking Conditions of the Tour we are constrained to levy the following Cancellation Charges. SOTC reserves the right to cancel any Tour prior to the departure, without assigning any reason. In such situation we will book the passenger on a different tour date. Incase if the alternate tour date is not acceptable, we will refund all monies paid by you, but no compensation are payable. SOTC cannot take responsibility for any cost or any fees relating to the issuance and/or cancellation of air tickets or other arrangements not done through SOTC. Third Party Service Provider would be applicable and in addition the Company shall have the right to claim service and communication charges. Booking Fee Protection Plan for US$ 69: In event of visa not being granted this unique scheme protects your non-refundable booking fee of US$ 400. Tour Cost Protection Plan for US$ 179: In the unlikely event of you cancelling the tour this scheme protects you against the cancellation charges that would be levied as explained in the cancellation details. The protection is of 75% of the tour cost and subject to cancellation being initiated in writing up to 04 days before the departure date. Cancellation under 04 days to departure will be charged as per Cancellation Policy. Note: Booking Fee Protection is applicable only against proof of document of a visa application refused. This cancellation fee waiver is application only on land arrangement. Passengers taking cruise will have to pay cancellation charges as per cruise company policy. Persons intending to book for the tours will have to pay a token amount of $ 100/- per package by availing the online payment option available in this website. The token amount is nonrefundable under any circumstances. The said amount shall be adjusted towards the cost of the tour at the time of final payment. Please also note that the tour price is subject to change at the time of the payment of the final amount. For any queries our sales representative will get in touch with you once token amount is paid. • Visit the One World Observatory. • Visit Hershey’s Chocolate World. • ‘Maid of the Mist’ boat ride. • Visit Kennedy Space Center. • ‘Las Vegas by Night Tour’. • Visit Santa Monica Beach. • Bay Cruise to Sausalito. Choose from a variety of breads, jams, cereals, juices, milk, tea and coffee. Passport, Visa charges, Airport & Port taxes. Cost of your Air tickets required to participate in this tour. Insurance, laundry, telephone charges, transfers all items of personal nature and also food and drinks not forming part of the group menus. Porterage of 1 bag per person at all the hotel for Value & Cost Saver tours only. Mandatory tips of USD 3 per person per day for Coach drivers, Guides etc. • Suggested excursions will be operated subject to minimum 20 passengers. Single room supplement USD 800 per person. • Maximum 3 persons are allowed per room. • High Season surcharge will be applicable for Departure from 1st July to 31st Aug 2019. Visa Requirements: You must be in possession of a Multiple Entry Visa for USA. The cost of this visa is not included in your package tour price. It would be best to check with your travel agent and the consulates nearest to you for advice and information. Please ensure that your travel documents are ready in time for departure. Ticketing Requirements: To participate on this tour, you need to be in possession of valid air ticket for travel within USA for the following sector: Buffalo - Orlando & Orlando - Las Vegas. It is mandatory to purchase this ticket through SOTC. Confirmed air reservations for these sectors have already been made by us. The cost of this internal ticket is USD 410 per person which has to be paid at the time of booking the tour.